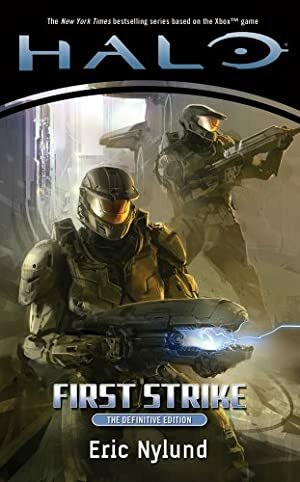 Halo is a Xbox, sci-fi themed first-person shooter video game. It was hugely successful, and genre-defining during the 2000s. This led to spin-off media, including novels. 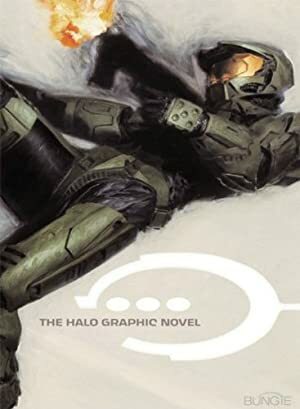 This profile concerns Cortana from the Halo *novels*, so there are many additional capabilities herein that were not demonstrated in the computer game. The name of this A.I. was enough of a #brand — due to the game’s success — that it became the name of the assistant software in the real-world Windows Operating System. Known Relatives: Dr. Halsey (template). Group Affiliation: United Nations Space Command. Base Of Operations: Mobile, formerly the planet Reach. Cortana was a frighteningly effective intrusion AI. She was routinely capable of subverting and reprogramming top-level computer security AIs. That was done with such skill that no one (including the AIs themselves) realized they’d even been tampered with. She was also able to load herself into alien systems and operate within them capably enough to destroy the AIs already present within. Cortana’s other abilities included the capacity to store vast amounts of information (though too much data degraded her stability) and to create lesser duplicates of herself to infect large computer systems like a virus. Cortana could also function as a military shipboard AI, piloting a vessel and conducting attacks much more effectively than a human operator would be capable of doing. She did so aboard the Pillar of Autumn at the Battle of Reach, since the Pillar had been undergoing a major refit and its own dedicated AI had not yet been installed. The Pillar survived combat with numerous vessels of superior capabilities due to Cortana’s skill. Most high-ranking UNSC officers have an AI dedicated to serving their needs. For Dr. Halsey, the head of Project SPARTAN-II, this AI was Cortana. Following the UNSC tradition of naming AIs after mythological or historical figures, Cortana was named after the sword of Edward the Confessor . Cortana was unique in that she was based on a human mind rather than constructed through standard AI programming techniques. The mind in question was that of Halsey herself. Creating an AI based on a human mind destroyed the brain of the human template in the process, so Halsey had her brain cloned and imprinted with her memories for this procedure. The cloning and imprinting technologies were notoriously unreliable, so it took ten attempts to get a properly functioning brain to serve as Cortana’s template. Cortana served as Dr. Halsey’s partner and confidant. She helped with many different UNSC programs at the naval headquarters on the planet Reach. When the UNSC developed a plan to steal a Covenant vessel and use it to go to the Covenant homeworld and seize their ruling elite, Cortana was instrumental. Her nonpareil intrusion skills would be critical to seizing control of a Covenant vessel. As part of this plan, she would be integrated into a modified MJOLNIR armor, allowing her to be carried safely and even contribute to the tactical efforts of the Spartans in addition to her mission-specific duties. To test the concept before the mission, Cortana was paired with the finest of the Spartans, John-117, a.k.a. Master Chief. Their test of the latest MJOLNIR upgrades and the integrated system was a remarkable success. All the more so because John-117 and Cortana also triumphed against unexpected obstacles from an officer who wished to see the program fail. Before the mission could be launched, the Covenant launched a surprise attack on Reach. Cortana was pressed into service on the Pillar of Autumn, the UNSC vessel that was intended for the Covenant homeworld mission, since the vessel’s own AI had not been installed yet. She kept the ship intact and plotted an escape course. This course was supposed to be random, part of a UNSC protocol to keep the Covenant from learning Earth’s location. But cortana instead selected a specific course. It was based on her own analysis of Covenant intel data gathered from previous missions. Following Cortana’s course, the Pillar of Autumn arrived at the ancient construct dubbed Halo. Halo was a ring 11,000 miles in diameter with a habitable surface on the inner side. The Pillar of Autumn was attacked by Covenant forces already present in the system and crash-landed on Halo. The fighting between the human and Covenant forces on Halo inadvertently released the Flood, a race of parasitic organisms that were imprisoned for study on Halo by that construct’s ancient creators, the Forerunners. In response to the release of the Flood, Halo’s robotic crew attempted to activate the giant construct. In tandem with other identical constructs across the galaxy, Halo would release a blast of energy. It would be sufficient to kill all life that the Flood could feed upon in order to contain their threat. 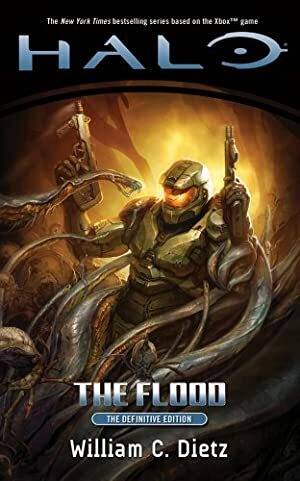 Armed with information Cortana had taken from Halo’s vast archives, John-117 and Cortana managed to interrupt the galaxy-sterilization process and stop the spread of the Flood. They achieved this by overloading the Pillar of Autumn’s nuclear reactors — the resulting explosion destroyed Halo. John-117 escaped the blast in a Longsword aerospace fighter. In the aftermath, John-117 found a few survivors of the Pillar’s crew in a dropship that had also fled Halo. Thanks in large measure to Cortana’s ability to hack Covenant computer systems, the group was able to board and capture the Ascendant Justice. It was a Covenant flagship that had come to investigate Halo. The value of an entire ship of advanced Covenant technology was obvious. Yet the group could not head back to Earth with the vessel given possibility of the Covenant somehow tracking their flagship and discovering Earth’s location. They decided to return to Reach in hopes of finding a salvageable human vessel. If one existed, they could hide the captured ship while they retrieved engineering specialists from Earth to examine the Covenant flagship. Arriving at Reach, the Pillar of Autumn’s survivors managed to accomplish their mission and more. The surviving human forces on Reach, including several Spartans, were rescued. Furthermore, an artifact of unknown purpose but of great value to the Covenant was retrieved. After making the UNSC vessel Gettysburg operational again and combining the information they had gathered, the combined survivors of Halo and Reach undertook a desperate mission to the local base of Covenant activity. This was an enormous space station called Unyielding Hierophant. Though it cost them their captured Covenant vessel, they managed to destroy Hierophant and devastate the Covenant fleet in orbit around the station. Cortana’s aid in that mission was invaluable, as she wreaked havoc among the Hierophant’s systems by unleashing duplicates of herself through out its systems. Each duplicate spawned duplicates of its own. Even though the duplicates (especially the later-generations ones) did not have Cortana’s level of ability, the sum total of their work crippled the space station’s computer systems. Without her assistance, the Covenant could have responded much more effectively to the Spartan intrusion. Having delayed the Covenant campaign, the victorious remnants of the group began their return voyage to Earth with the vital enemy intelligence they had gathered. Cortana’s holographic projection and voice are based on that of a young Dr. Halsey. She thus looks like a slim female with angular cheekbones, full lips, and her hair styled in a bowlcut. She is “dressed” in thin plates separated by dark spaces with vertical streams of numbers and mathematical symbols running through them. 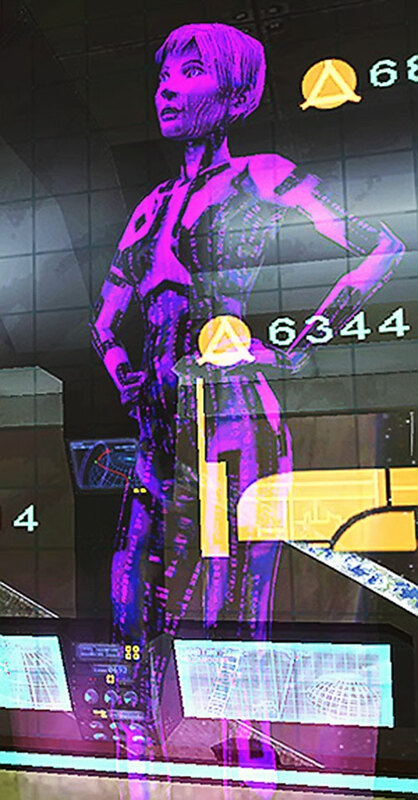 Cortana’s hue usually ranges between purple or blue depending on the holoprojector she is using. When she first entered the Halo installation’s database, she took on a green hue for a period of time. Whether this was due to the strain of holding more information than her normal capacity or the alien nature of the control system is unknown. Her height varies depending on the holoprojector she is using and her personal preferences, but she usually ranges from 1’ to 5’ tall. Cortana is calm and a little playfully sarcastic most of the time. Both of these are qualities she inherited from Dr. Halsey. Halsey usually kept her sarcasm to herself, preferring to maintain an aloof, professional air with others. Cortana is a bit more expressive — her more independent work gives her fewer constraints about having to cooperate with people she does not like. Cortana’s superiority (both in capability and security clearance) compared to most AIs also gives her more freedom to do as she pleases. She frequently exploits this perk by hacking into other systems for continued data-gathering and to simply test her skills. Halsey’s secret favoritism toward Spartan-117 is also shared by Cortana. The AI made sure that John-117 was her partner when she was paired with a Spartan for the planned Covenant homeworld mission. In many ways, Cortana is Halsey’s unrestrained Id. After absorbing the vast database on Halo, Cortana became emotionally volatile – and occasionally insulting towards others. This was an unfortunate side-effect of having to make alterations in her program to hold all of the data. Dr. Halsey was one of the unfortunates kidnapped by the Dominators prior to the Invasion for the lethal tests of the metagene that created the superteam known as the Blasters. Believed to have been killed during the experiment, she actually transformed into an electronic intelligence. She opposed the alien Alliance behind the lines, sabotaging their computer systems. 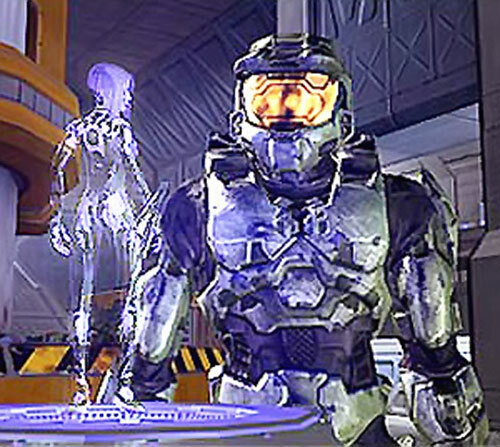 Encountering the US military’s armored soldier Master Chief during his own infiltration op, she used the Alliance’s technology to modify his MJOLNIR armor, allowing it to house her mind. Together, they succeeded in striking a major blow against the Alliance, helping to clear a path for Earth’s superheroes as they began their counter-attack. The two have been inseparable since then, sharing bonds formed in combat. Data Storage’s capacity can be increased by shifting APs from INT, MIN and SPI (1 AP at a time, in that order) using linear math. For example, Cortana could raise Data Storage by 05 APs by subtracting 02 APs from INT and MIN and 01 AP from Spirit (+1FC). Split is Half-Linked to INT instead of DEX (still only -1FC). Split can be used normally *and* for Computational Purpose multi-tasking as described in the standard computer rules (+1FC). Split is passed on to Cortana’s Splits, which can thus Split themselves (+3FC). Split does not reduce the APs of the original program but does reduce those of the Splits; for example, if Cortana Splits her APs will not be reduced but each of the Splits created will have a -1 AP to all stats. If one of those Splits creates Splits itself, it will not lose any APs but its offspring will have one less AP is all stats (and thus 2 less APs than the original Cortana), etc. Linked abilities only drop to the level that the Link Attribute has dropped (+2FC total). Superspeed can only be used to raise Initiative and to reduce the time needed to complete Mental Tasks (-4FC). Superspeed is Linked to INT instead of DEX (still only -1FC). Absorbing the Halo database required 20 APs of Data Storage, with the effects noted in the Data Storage Bonus example above. Expertise (UNSC computer security, UNSC protocols and procedures, the Covenant), Languages (Covenant), Miscellaneous (Cortana is designed to enhance the interface between a Spartan and the MJOLNIR armor; while Cortana is present in a MJOLNIR armor’s computer, the wearer can use the highest of his or Cortana’s INT or INF to calculate his Initiative, 10 points), Miscellaneous ( If system currently occupied by Cortana has the Radio Comm Power, she can use it to hack into other computer systems, assuming those systems likewise accept radio transmissions, 5 points). CPR (Cortana can only exist inside computers with sufficient memory to hold her program, i.e. with Data Storage: 25+ or Recall: 40+, she can be conveyed in inactive form in memory storage units with Data Storage: 15+ or Recall: 30+). Though Cortana is sophisticated enough to have Mind and Spirit Attributes, she will still be immune to Powers and other abilities that affect an organic brain or a living soul. This includes most forms of telepathic powers and mystical attacks. 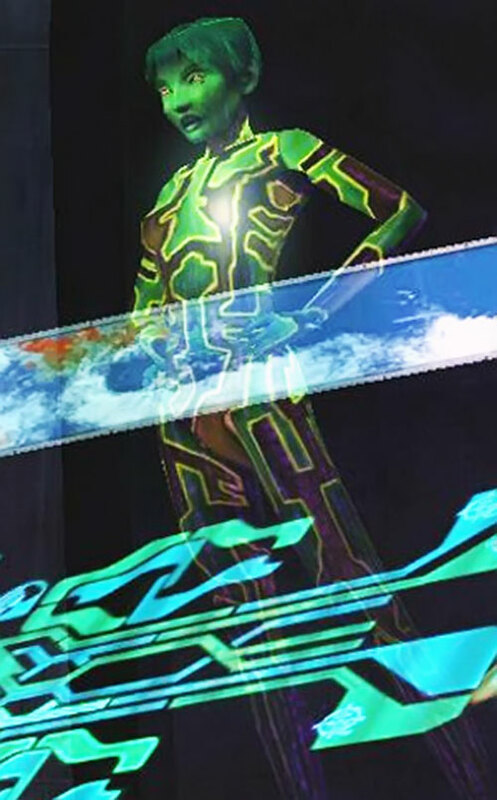 She is vulnerable to Powers and other abilities that affect computers and electronic entities. These limitations are assumed to balance out and are thus has no cost attached. The GM should decide on a case by case basis whether a particular Mental or Mystical ability will affect Cortana. 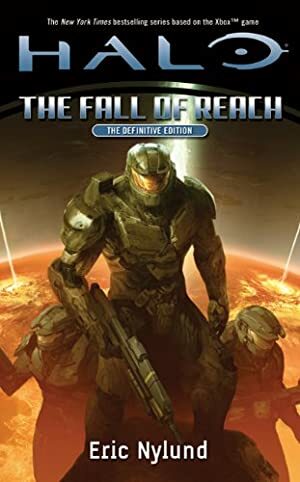 Source of Character: Halo novels (The Fall of Reach, The Flood, First Strike).